Here’s a car you probably haven’t thought of in a while: the Spyker C8 Spyder. It was a weirdo car produced (in very low numbers) by Dutch company Spyker, yet it remains one of the most glorious examples of exquisite automotive design ever to grace the modern age. Let’s revisit it. Today, Petrolicious brings us back to the very excellent year of 2006 when Fergie’s “London Bridge” was playing on every pop radio station and Pluto was deplanetized. 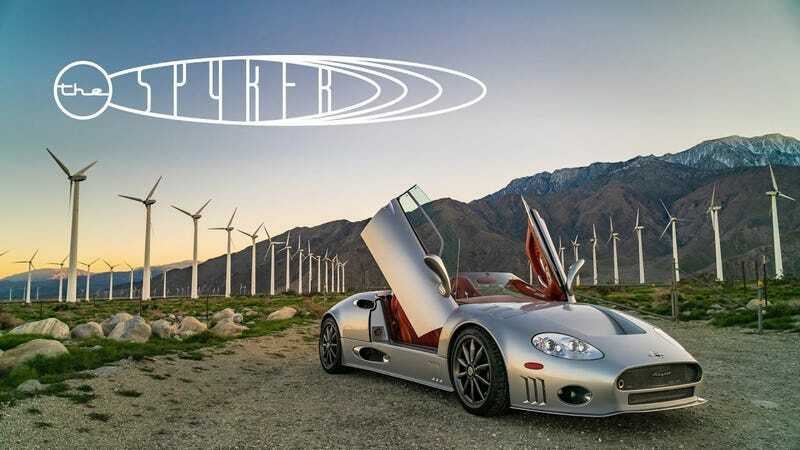 Spyker hadn’t yet filed for bankruptcy and instead was putting beautiful works of art like the C8 Spyder on the road. The C8 Spyder in the video is owned by James Chen, who sees himself as a caretaker for cars like it. He believes his role in all of this is to care for the cars until they can be passed onto the next generation, because they deserve to be kept alive and maintained. Powered by a 4.2-liter Audi V8, the C8 Spyder makes 400 horsepower to the rear wheels. But, for once, it’s a car whose engine takes a backseat to its design. It’s one of those cars that you could spend hours gazing at. Even if you were never really sold on its overall looks, you had to appreciate its attention to detail. It plays heavily on the company’s aircraft heritage, with its propeller logo and 10-spoke wheel design, as it from a turbine. Inside, it’s really like an airplane cockpit. It has a driver-oriented dashboard, quilted leather and an exposed gearshift linkage. And the key! I’ve never seen a car key like this before. It bears the company’s Latin motto, “Nulla tenaci invia est via,” which means “For the tenacious no road is impassable.” So nerdy but also so cool. I’ve been fortunate enough to have seen only one C8 Spyder in the wild in my life. It was something special.